This annual fundraiser benefits Dayspring Preschool & Kindergarten and helps the school pay for things that are outside of the operating budget (including financial aid, playground equipment, professional development for teachers, books for the library, and much more!). Thank you for your participation, whether as a vendor, a volunteer, or a shopper. We appreciate you so much! Volunteers are needed to make our annual Boutique a success! 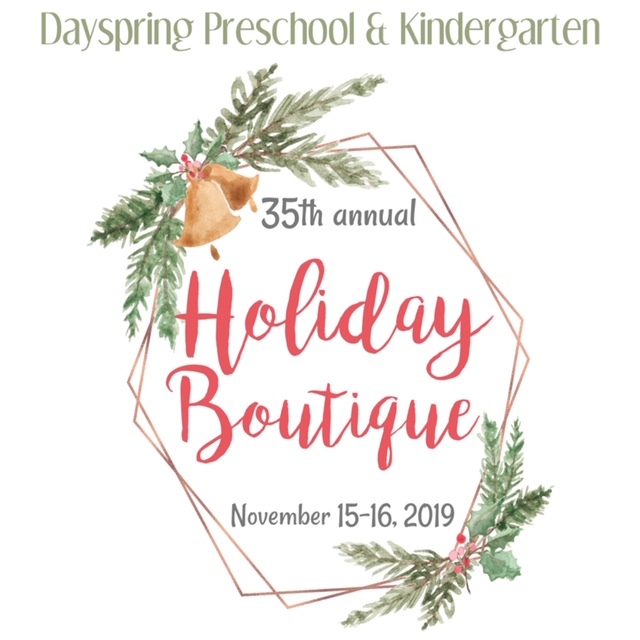 Please e-mail us at Boutique@dayspringpreschool.com for more information. Thank you for your support!